Have you ever wondered what items are cheaper to buy than make? We have done the research for you! Most people try to make everything at home when they’re trying to save money. 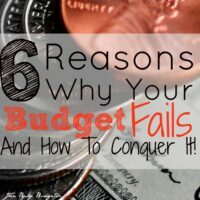 You’d be surprised to know that there are quite a few things that are cheaper to buy than to make! I’ve spent the last 5 years becoming a DIY-er in order to shovel ourselves out of over $40,000 worth of debt (debt free feels amazing, by the way!). 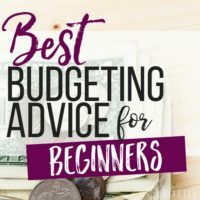 While learning to do things on my own has saved me a lot of money over the years, there were a few things that surprised us. These things seemed like they would be cheaper to make at home, but in fact, it was cheaper to buy them. Nothing makes me sadder than spending three hours baking bread only to find out that I spent more money making it than it would have cost to buy it. 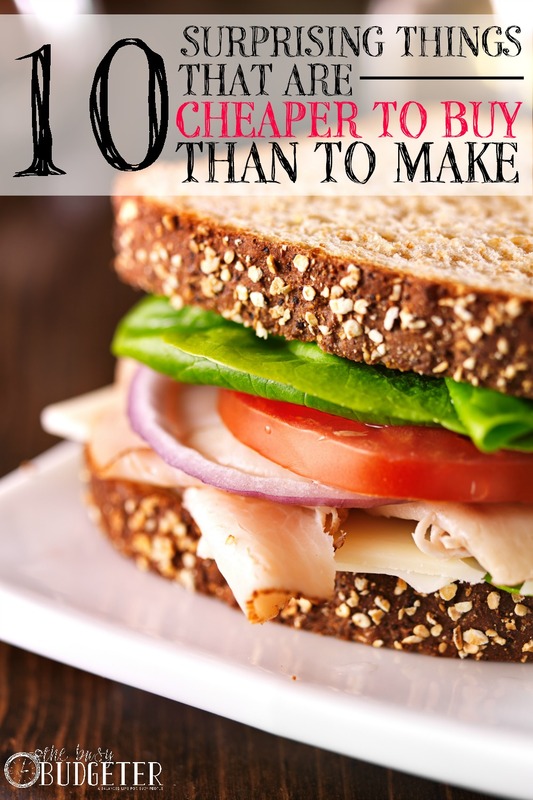 10 things that are cheaper to buy than to make. Although there are plenty of reasons to bake your own bread, (nothing beats warm bread out of the oven! ), this was significantly more expensive to make at home than it was to buy. If you add up strictly the cost of the ingredients for a no-frills, boring sandwich bread recipe, it’s about $.80. But only if you buy the ingredients in bulk (or on sale) and actually use them. If you buy the ingredients in bulk and don’t end up using them, then your failed bread experiment can cost you about $20. The other issue with making your own sandwich bread is having to slice it yourself. When you slice bread using a bread knife, you’ll end up with about 8 large, wonky slices per loaf. You can make those slices smaller and more consistent if you invest in a bread slicer and a Pullman pan loaf (which creates the rectangular bread you’re used to seeing in the stores), but again… those can add about $40 to your bread investment. Then you have to factor in the time it takes to make your bread. It can take 30 minutes to 3 hours to bake a loaf of bread depending on your recipe, and the process can be pretty labor intensive. A bread machine can reduce your labor time… but, again, it can add $60 to your investment. When you figure that you can get a loaf of sandwich bread with 14-20 perfect slices for 85 cents at Aldi or $1.00 at your regular grocery store, it’s way more expensive to make bread at home. If you love to bake bread as a hobby, you have the equipment and spare time, or if you want to know exactly what’s going into your bread, then making it at home may still be worth it. Otherwise, skip the process and buy one instead. Making your own peanut butter at home is extremely simple. Alton brown has the best recipe for it. You drop 15 oz of shelled peanuts, a little peanut oil, honey, and salt into a food processor, give it a few whizzes (that’s an actual word right? ), and you’re done. It’s simple enough that even the busiest cook can do it, especially considering the finished product keeps in the fridge for up to 2 months! The problem is that it costs almost double to buy the peanuts and make your own. Even buying a name brand peanut butter is less expensive than making your own, though, of course, if you’re willing to get the cheapest generic peanut butter, then you’ll save even more! I actually love making ice cream at home and we still do it every once in a while with the kids as a fun activity. The problem is that the cream, condensed milk, and other ingredients make this much more expensive than simply buying a quart of ice cream. Plus, in order to get the same taste, you’ll need an ice cream maker. A quality electric ice cream maker starts at $50 and the hand churn ones (which are extremely labor intensive) actually cost about the same. Considering you can get a tub of ice cream for $2.50 (or even cheaper if you hit a sale), it’s not worth the extra cost. If you want to skip the ice cream maker, you can still have a fun activity for the kids by following these instructions. In theory, you can take some very simple (and cheap!) ingredients and turn them into flavorful, very expensive beer. After all, hops, grain, yeast, and water are the basic ingredients. The problem is that there’s a lot of skill and expensive equipment required, and the ingredients can be hard to find. It’s also extremely labor intensive to make your own beer at home. After all that work of making the beer, you’ll need to find a way to store or serve it. You’ll need a keg, a few growlers, or some bottles. You’ll also need tops and a way to pinch the tops on. Then, of course, if you don’t have any experience making beer, you may end up with 5 gallons of a beer that you hate, wasting your money and your effort. Unless you’re looking at this as a hobby, then it’s almost always cheaper to buy your own beer, even if you love the expensive craft beers. That being said my husband, Jon loved this so much that he started doing it as a hobby, found out that he had a knack for creating original recipes and turned it into a business, opening a brewery in Woodbridge, Va… so if you’re willing to eat the costs as you learn and invest in it as a hobby, I fully support home brewers. But whatever you do, don’t drink Budweiser. Seriously. Have some respect for yourself. Tomato paste is one of the cheapest foods around. You can buy a can for less than 50 cents. In order to make it yourself, you would need to get about a dozen tomatoes, red peppers, onion, spices, and garlic. Totally better to buy this one. To make pasta at home, it would cost about $1.50 in ingredients, but it would take almost an hour of labor-intensive work. You can save a little bit of time by getting a pasta maker, but considering you can grab a box of pasta from the store for $1, you definitely won’t see any savings if you do this. Plus, if your kitchen is anything like mine, you don’t have the space for another appliance. However, cost savings aside, homemade pasta is far superior to the store-bought kind. If you have the time and the desire, it’s so worth it to make it at home as a treat or a special experience. For the everyday busy mom on a budget, though, skip it and buy the box. We usually pack dinner leftovers for lunch, but occasionally Jon wants to pack a sandwich (usually when he’ll be away from a microwave for the day). We realized after analyzing it that it’s actually cheaper for him to go to Subway than for us to buy bread, lettuce, tomato, onion, and sandwich meat at home. He can get a six-inch sub for $3.50 and load it with veggies, then we pack an apple, a bag of chips and a drink to round out the meal. However, if you’re planning to pack sandwiches for a few days, then it does cost more to buy it than to make it yourself, so be sure to keep that in mind. It took us forever to realize that it’s cheaper to buy guacamole than to make it. We use a super simple recipe of mashed avocado, cilantro, salt, and lime juice, and we assumed it was cheaper than any store-bought variety. But the avocados in the area are $1.50 each. Even on sale, they’re usually more than $1. They’re hard to buy in bulk because they don’t keep long term, and even when you make the guacamole, it won’t keep very long in the refrigerator. We were spending $2-6 for a bowl of guacamole to feed the 4 of us until we finally realized that we could pay 50 cents per 100 calorie pack of guacamole at Costco. For $9.99, you get 20 serving-sized cups that are meant to be frozen easily. So we keep a few in the fridge, freeze the rest, and then rotate new ones in. We get guac on demand, in portioned amounts with no extra dishes to wash. It’s way cheaper and easier! This antioxidant-rich juice is healthy and delicious! It’s also crazy expensive. It usually retails for $6 for 16 oz. We thought making it at home would be cheaper, but we were so wrong. It costs about $10-12 in pomegranates, plus the cost of a juicer, to make a 16 oz jar. Totally not worth the effort. Skip this one and fork over for the $6 bottle as a treat. The rest of the time, you can just eat the pomegranate seeds fresh! The high cost of pine nuts makes pesto much cheaper to buy than to make. You can actually make it with sunflower seeds instead and bring the cost down considerably (especially if you have basil in your garden) if you want to make it worth making at home, but we just stick to buying it. Don’t get me wrong: just because these may be cheaper to buy than to make at home doesn’t mean that you shouldn’t ever make them at home. You may love the experience or the quality of the homemade item may be better than you could ever buy. But if your sole purpose in making things at home is to save money, skip these items and just buy them. 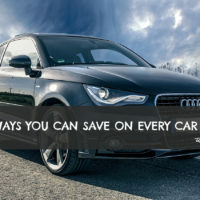 Because at the end of the day, we want to put our effort into things that will save us the most money. Like meal planning. (seriously… you’ll save a small fortune). What have you found to be cheaper to buy than to make at home? Yes, this is true.. but homemade peanut butter is so much healthier.. And homemade pasta – so much tastier 🙂 But yes, it’s not always cheaper to make things on our own! 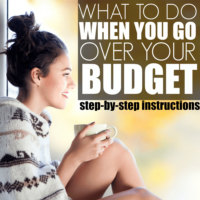 The Busy Budgeter recently posted…Three Steps to Being Content With What You Have. Agreed – with all of the above. Sandwiches were the surprising one for me. Over the years (sometimes I am slow on the uptake) I realized how much lunch meat we throw out due to spoilage. And all the toppings? A head of lettuce, tomatoes, onions – all for one sandwich? It is cheaper to buy if you are making just one – and that, once in awhile. I figure my bread is about 50 cents a loaf, well… Maybe it is about $1 a loaf! In winter, the oven warms up the house and the bread gets eaten quite quickly while it’s warm! I grind my own grains and dried beans into flour. Once I get going, it’s about 15 minutes from the time I decide to make the bread, until it’s in the oven. It cooks 50 and we are ready for butter melting on our nice warm bread. My bread has more protein and fiber than most breads. Then there’s the variations, like cinnamon roll bread and squaw bread. Those costs a lot less than buying. I agree with most of what’s posted here. However, in my area buying bread from the grocery store is anywhere between 3.49 to 5.99 for a basic loaf. Sometimes on sale I can find store brand for 1.99. When I did the math on my ingredients which makes loafs, pitas, tortillas, rolls, and other various breads it costs me about .94 cents a loaf considering how many I get out of standard set of ingredients. I also freeze my dough in the deep freezer for later use so I can take it out when needed. I spend less then one day a month making enough bread dough by hand for a month, im a baking fool i guess:) very informative article i appreciate the time you took to share your view. You’re spot on with the pasta and tomato paste! But unfortunately I have to disagree with majority of the article. A $.79 loaf of bread may be cheaper than a whole wheat loaf of bread made from home, but that $.79 is wasted on fillers. It won’t add any meaningful protei , fiber, or other nutrients whereas the homemade wheat bread would. As for time, I dump all my ingredients into the bread machine and it does all the work for me. After the first rise, I simply place it into a regular loaf pan and let it rise a second time. Then bake. All the work takes less than two minutes total. As for peanut butter, Aldi sells dry unsalted peanuts for about $1.50. Add in a little sweetener and let the food processor do it’s job and I have natural peanut butter for a little under way under $2.00 a pound. I’ve never seen natural peanut butter that cheap in the store. Ice Cream is another case of quality. I can make a Haagen Das style ice cream for about $2.50-$3.00 a quart and it normally sells for twice that. That being said, the cheap kind is that same price but you get twice as much. With the homemade stuff though I know there isn’t any weird fillers or ingredients, and the taste is simply divine. As far as the sandwich thing is concerned, I don’t see how a sandwich can cost $3.50 especially when your loaf of bread only costs $.79. Unless you’re using boars head meat, which in that case Id recommend you slicing up some baked chicken breasts instead. One last thought – even if something may cost more to make, there’s something to be said for the ability to whip it up with what’s on hand. If I run out of something I’m tempted to impulse buy when I run to the store and get whatever I needed. This alone could double or quadruple the price of my recipe, simply by impulse buying things I don’t need! Having lots of basic pantry staples on hand removes that temptation completely. I wanted to like this article, I really did! I was excited to read it! But I can’t help but feel it’s incredibly misleading. I disagree with the bread section. My wife made 100% whole wheat breads at home by hand. 2 at a time. I didn’t measure how many minutes to make the dough but she always said it wasn’t hard to do. Then 45 minutes to rise and 45 minutes in the oven. So it’s not that you work for x hours to make the bread! We live in Canada, so pricing would be different maybe, but she said it was cheaper to make. It’s just a few basic ingredients. When evaluating what is cheaper to make you can’t take into account your failed experiments, or ingredients you didn’t use yet (especially for products like bread). Not taking into consideration what they put in breads to “fill it up” and make it less fulfilling or adding too much sugar and salt to increase consumption. You must take these things into consideration. About the slicing, with a regular knife you get bad slices. We bought a bread slicing knife at a dollar store and it cut great thin slices. I’ve been considering what to make vs but and this was helpful! But I do think that bread will be cheaper to make as here most loaves are $3.50 +, even for store brands. I’d love to find loaves as cheap as $0.79 or $1.99!